Tokyo-based travel agency Tellmeclub filed for bankruptcy with the Tokyo District Court on Monday with liabilities estimated at ¥15.1 billion, including ¥9.9 billion relating to 36,000 travel contracts. 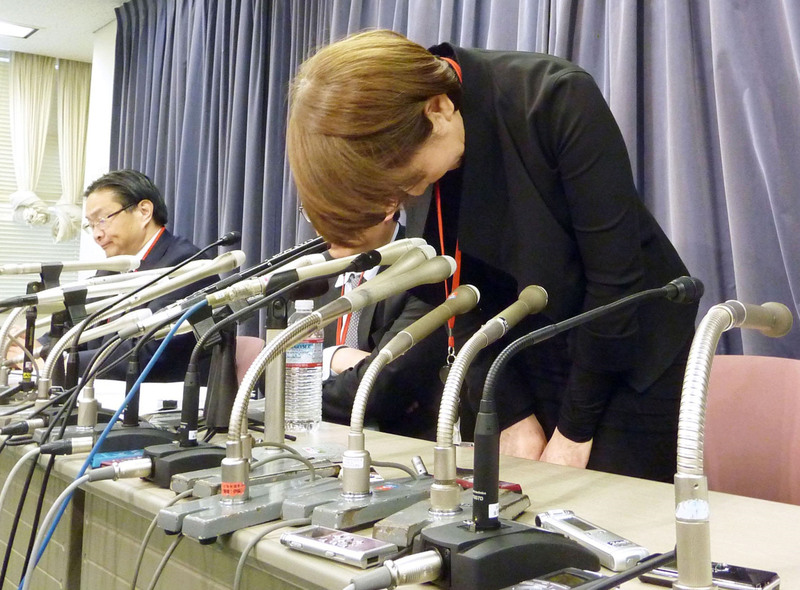 Tellmeclub is now set to be liquidated, with about 80 employees to eventually lose their jobs, company President Chikako Yamada told a news conference at the transport ministry in the morning. The discount travel agency has joined the bankruptcy insurance fund of the Japan Association of Travel Agents, though it will cover only about ¥120 million in compensation with most of the ¥9.9 billion paid by customers unlikely to be refunded. “Given the current conditions of corporate assets, it’s not clear at this point if we can ever distribute any (refunds) to customers because we have so many customers,” Tellmeclub said in a statement posted on its website the same day. 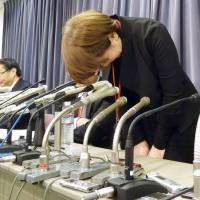 Yamada repeatedly apologized in a tearful voice during the news conference, saying she made the decision to declare bankruptcy earlier in the day. “We are terribly sorry for causing great trouble to everyone affected,” she said. According to the ministry, about 2,500 Tellmeclub customers were staying in 38 countries and regions as of Sunday, including Hawaii, South Korea, Taiwan and Italy. Tickets already issued for Tellmeclub customers, including return tickets supposedly held by the 2,500 travelers who are currently overseas, are legally valid despite the bankruptcy, a ministry official said. Yamada, however, urged customers still in Japan not to depart, saying overseas hotels and other travel service providers may refuse to accept Tellmeclub travelers. “We sincerely request (customers) refrain from making a trip to ensure their safety,” she said. Tellmeclub, set up in 1998 in Tokyo’s Shibuya Ward, specialized mainly in selling online airfares and tour packages for overseas travel. It logged sales of ¥19.5 billion for the year ending in September last year. According to Yamada, the firm’s business performance started to deteriorate after many airlines started using smaller airplanes with fewer seats, which has made it difficult for Tellmeclub to procure air tickets at discount prices. About two years ago the company started placing ads in newspapers in an attempt to sell more products to elderly travelers, which resulted in higher operating costs for little profit. The move caused a further deterioration in the company’s financial standings, Yamada said. Thursday was the deadline for Tellmeclub to pay about ¥400 million to the International Air Transport Association, which served as a key agent for Tellmeclub to procure air tickets. The company failed to secure funds for the transaction, which eventually prompted Yamada to declare the firm’s bankruptcy, she said. Customers are asked to check the firm’s website www.tellmeclub.com for more information about its bankruptcy process.